Overview: The course and course material is designed to provide a working knowledge of the metal forging industry. The class is intended for those designers and engineers who are designing forged parts using 3D parametric modelers such as SolidWorks or Creo. The bulk of time in this workshop will be spent on the part design requirements imposed on the designer by the forging process. Covered in this workshop are topics such as approach to modeling forgings to learning techniques where designers take a weldment and convert that assembly into a forged part. Similar Course Manufacturing Week long Intensive, Plastics Part Design, Die Cast Part Design. Prerequisites: General knowledge of SolidWorks, Creo or any another parametric 3D CAD modeler imperative unless you are in purchasing. Overview of the forging process complete with tooling and outside machining operations. Forging: The process by which metal is heated and is shaped by plastic deformation by suitably applying compression force. The progression of a forging process. Open die drop hammer forging. Impression die drop hammer forging. Press forging, upset forging, automatic hot forging, and roll forging. Powder mixes for compacting plus alloyed powder composed of two or more elements. Discuss the history of forming metals. Discuss the forging process and its specific history. Advantages and disadvantages with respect to cost and strength. Discuss alloys with respect forging. Compare cold forging to hot forging and warm forging. In detail steps of the forging process. Discuss strengths and weakness of outsourcing. 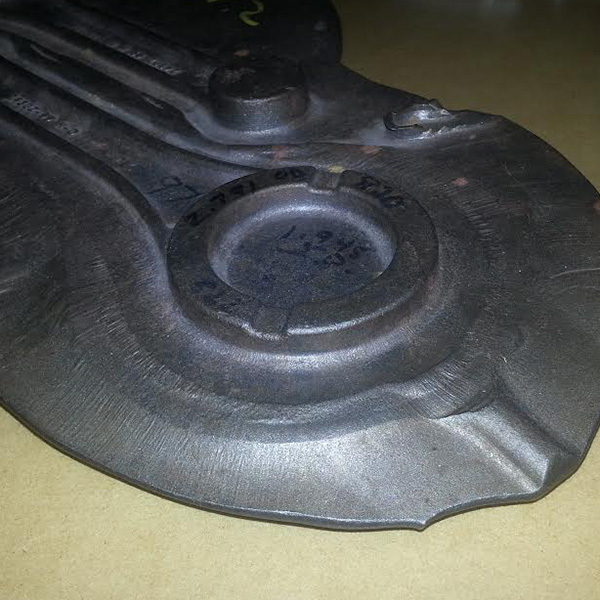 Discuss basic design elements for forged part design. Holes, ribs, thin wall features, bosses, nominal walls, and fill. Discuss general rules for forging and how material deform so designers can leverage flow for strength. Aircraft quality for high stress forged parts. Discuss auxiliary operations such as specific surface conditions or specific shapes not obtained by the regular processing operations. Flow stress with respect to deformation. Discuss Draft requirements with respect to material flow. Joining the Forging Industry Association. Discuss specification and purchasing quantities or tooling specific to forging. Watch your instructor, realize Draft in its many forms complete with examples of Split, Draft, etc. Harley Davidson kickstand is a part of the two day forging & manufacturing week. Exercise is to convert a welded assembly into a single forged part. 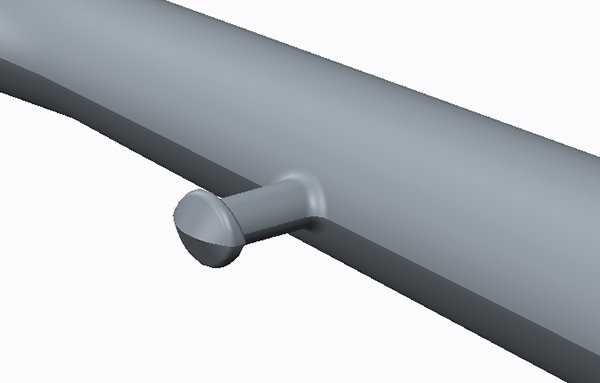 Learn to use a bit of surfacing, discuss its usefulness with forged part design. Learn to convert welded assemblies complete with complex draft to a forged process. Discuss making parts ready for the forging process that others created i.e. technique, Draft, strike direction. Techniques for converting multiple parts from a weldment into a cheaper, stronger forged part. Discuss tips, tricks, and techniques for starting and completing forging parts using Creo or Solidworks. 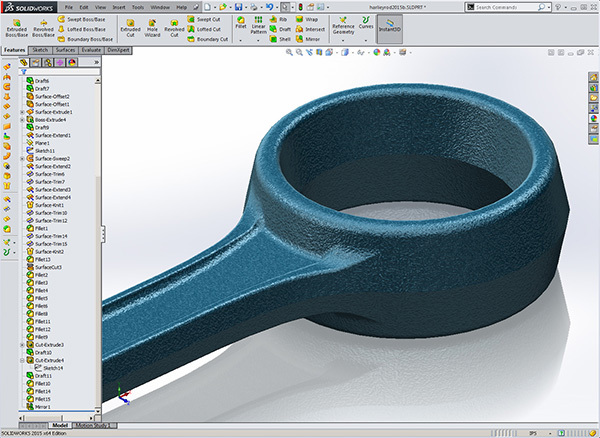 Learn to use parameters, relations and underlying curve geometry to drive Creo or Solidworks geometry with respect to forged parts. Discuss ribs and the addition of gauge geometry for aligning for the CNC matching process forge part. Learn to use utilize Draft Check analysis tools correctly. 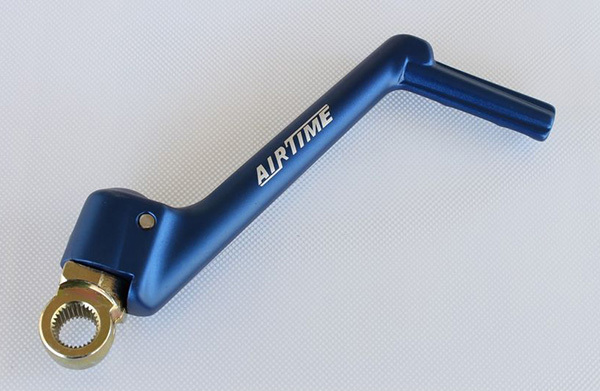 Discuss chrome applications and other plating, painting or powder coating processes. Techniques for managing the Creo or Solidworks machining features. Techniques for mounting your forged part to your CNC machine. Prints, specification, and notes for forging detail drawings. 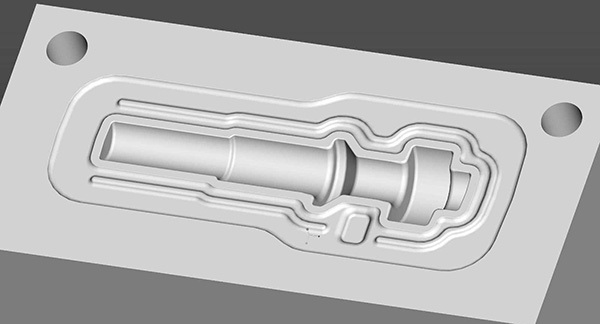 Compare metal injection molding to powder injection molding to forging. Forging process and product to die casting process. 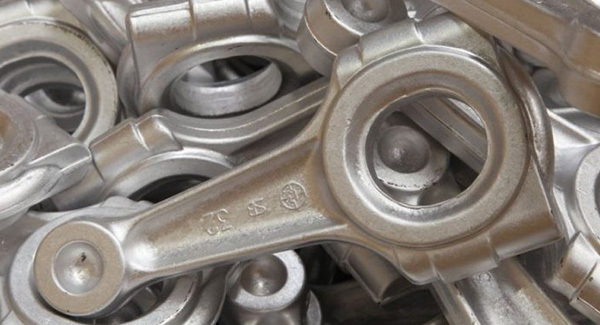 Die casting vs forging process with respect to cost and qty. This course is an introduction to Forging design using Creo or SolidWorks where focus is on advanced modeling techniques where making changes is paramount. This Creo or Solidworks training course is developed for seasoned users who want to become proficient learning forgings in just two days. We help you learn the software, not read to you from an exercise. In this course we help design engineers learn how to make changes quickly to set them up for becoming expert faster. As with all Design-Engine classes, participants keep the training material login and password for life.